Ex NASA artist, entertainer, and insider Math Boylan(Powerland) has a very unique and revolutionary view of the Earth and cosmos that is taking the Internet by storm. Unlike Mark Sargent, who espouses the the enclosed or domed flat Earth, Math proposes that the Earth is indeed flat like the ancients held for thousands of years, but that it is domeless and one of many strewn over an endless flat sheet of ice-covered rock(see rendering below). He claims that meteors crash into this ice sheet melting holes in it and exposing the hot magma underneath with the cold air above causing it to solidify into lands and continents. The meteor itself becomes the central magnetic north around which the much smaller Sun and planets(bits of the meteor?) revolve. The strong magnetism keeps the heavenly bodies in their various courses and sustains their light. This is somewhat(according to this author) like the hollow Earth theory with its inner central sun and revolving island seas. 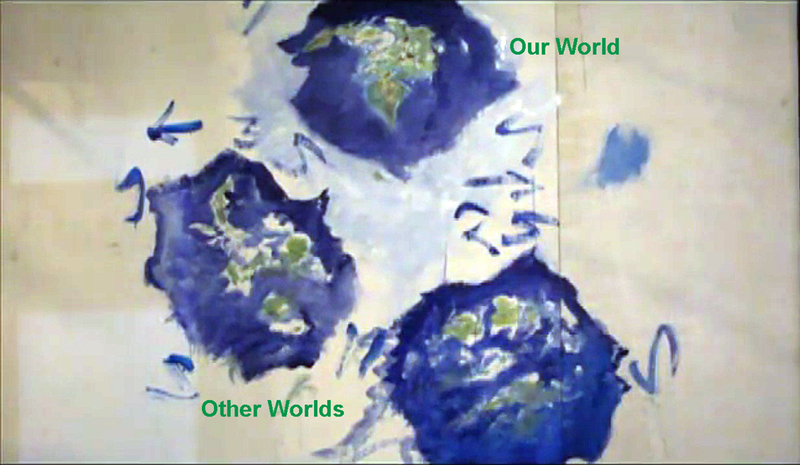 Neighbouring our Earth world are other flat worlds one of which may be the legendary Atlantis. It is uncertain if our shadow governments are in contact with these other worlds but it is certainly a possibility as the Antarctic periphery is intensely guarded by the military. Traversing the ice between these worlds must be a major and difficult undertaking, even for this world's rulers. The horrific cold and distances make it very discouraging. Perhaps there exist underground tunnels which bridge the worlds. In any case Math is determined to be the first modern explorer to make such a trip. Boylan has an interesting theory about Planet X -that it is the "shadow" on our Moon and the other earth's section moon(see image 1). I'm not sure what he means here but it's possible he is talking about that dark mystery body between our Sun and Moon that is the real cause of our eclipses(Nibiru, Nemesis, Rahu, etc.) or that this body belongs to one of the neighbouring worlds but also orbits into ours. Is this flat infinite plane truly endless? Perhaps. Or maybe it is just very vast and continually expanding. Eric Dubay takes the middle approach between Sargent and Boylan. He believes the Earth is a flat plane but isn't sure whether it has a dome or if the ice land around it stretches out infinitely. Also, unlike Boylan, he entertains the idea that Earth itself may have been the legendary Atlantis before being flooded. 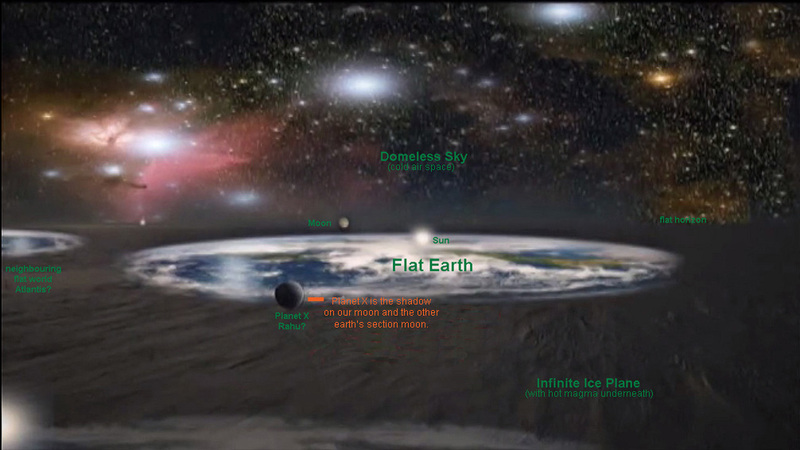 All three present fascinating but diverging views of the flat Earth model which is making a surprise revival in 2015 and which promises to challenge the currently held views of our cosmos. If even partly correct, NASA will have a lot of explaining to do. Could we be on the verge of a new scientific Renaissance? If so I hope that we get it right this time.